The trust and confidence that chartered surveyors have inspired as a profession has helped support the sustainable development of the built and natural environments. The world in 2019 is very different from how it looked 30 years ago, let alone in 1868, when we were founded. The impact of big data and artificial intelligence; climate change; urbanisation on an unprecedented scale; and the loss of institutional trust – these are just a few of the challenges we now face. Poland’s real estate market is second to none within the CEE region in terms of size, range and investor confidence. It offers yields more attractive than those found on Western European property markets, while maintaining a low risk profile and relatively high liquidity. 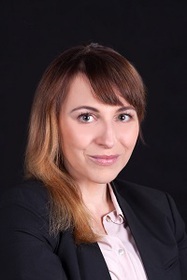 Poland is also a leader in terms of the value of transactions on the real estate market in the CEE region. RICS believes that the best way to serve its members’ and Polish market interests is to ensure that the profession is trusted and relevant. We believe this will be best achieved through building a modern, diverse and agile organisation and an appropriate oversight body for the setting and supervision of regulations and standards. Work to this end has already started. The RICS Futures programme was established in 2015, to explore the implications of the drivers for change to 2030, from mass urbanisation and the emergence of real estate as an investment class, to the rise of the worldwide middle class and the revolutionary impact of big data. RICS built on this in 2018 with a consultation among members across all sectors of the profession on the global issues and trends driving change in the built environment. Over 1,000 conversations were held, in the form of roundtables and seminars, to review how the change documented three years ago is impacting the profession. 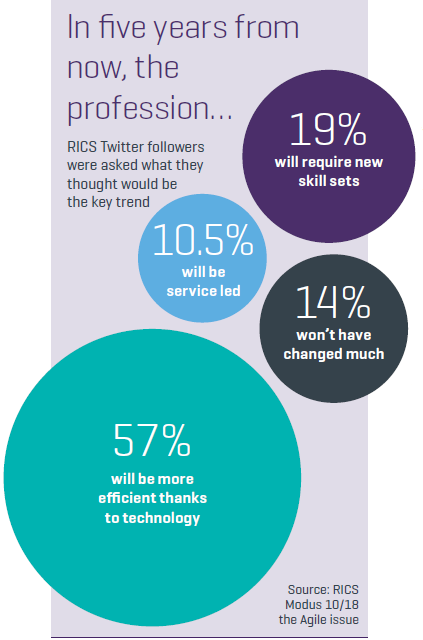 Among the most important trends cited by members of the profession during the eight-month consultation are that ‘digital data is now king’, ‘automation and artificial intelligence are changing the tools we survey the world with’, ‘RICS professional opinion is increasingly more important than technical prowess’, and that customers ‘increasingly value property as a service more than their structures’. RICS plans to explore some of these key themes and outline ways to respond to them, in a bid to provide professionals with the tools to navigate the fast-changing environment. The organisation has also been mapping change and providing solutions in other ways. Its ground-breaking work via the World Built Environment Forum (WBEF) and Summit has served to highlight the contribution RICS professionals make to the environment, economy and society. De¬signed to challenge conventional wisdom and promote innovative thinking about the future, WBEF joins together experts and thinkers from multiple disciplines and al-lows RICS to look at the built environment through a holistic lens. Another future-proofing initiative is the Cities for our Future Challenge, launched in January 2018 and aimed at finding transformative and practical solutions to urgent issues that cities face including urbanisation, climate change and resource scarcity. RICS’ programme of standards development and thought-leadership on conflicts of interest, anti-money launder¬ing and corruption encourages RICS professionals to use their influence to further build trust across the industry. But that trust cannot be taken for granted. With the world changing in so many ways and given the pace at which it’s happening, it’s critical that we never rest on our laurels. This is an incredibly exciting time to be a member of our profession, with the world growing and changing so rapidly. Professionals operating within the natural and built environments are at the heart of some of the great challenges of our time, including urbanisation, climate change, and technological development. RICS’ members have been shaping the world for 150 years. By setting and enforcing standards that give confidence to markets and by putting people at the heart of what we do, we will have a positive impact on the future direction of all the regions of the world in which RICS operates, including Poland. Find out more about the RICS Future programme and how to get involved at rics.org/futureprofession. Further information about the WBEF 2019 Summit and reports on a range of critical global issues can be found at www.rics.org/wbef.